These are some of the amazing children who have 100% attendance . 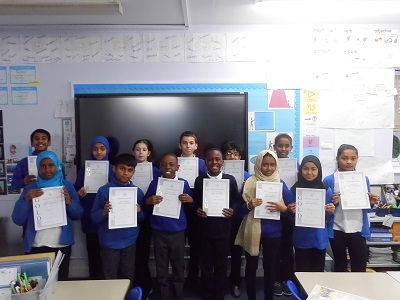 They all received a GOLD Certificate. 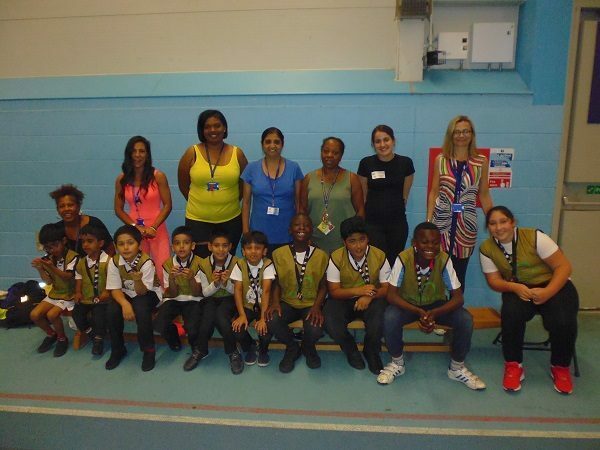 Congratulations and I hope we receive more Gold Certificates for next term. 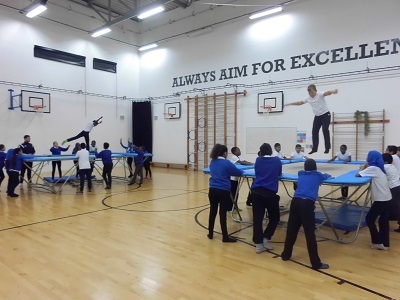 Continue reading "Gold Attendance "
For the last few week 6TB have been going over to Lister Secondary School to learn new trampolining skills. So far they have learnt: basic bounces, a twist, seat landings, a pike and a straddle. Here are a few pictures to demonstrate some of the basic skills they have learnt! 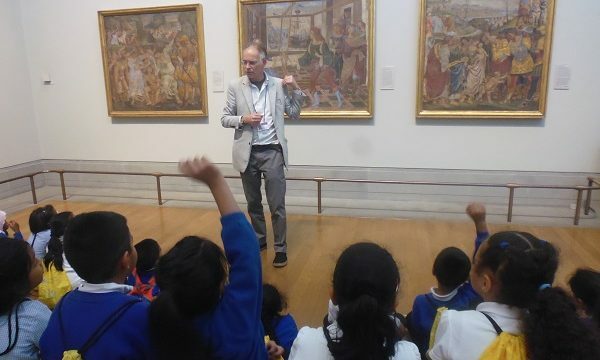 Continue reading "Year 6 trampolining skills"
On Friday 3rd November 4AS went to the Royal Academy of Arts to visit the Jasper Johns exhibition. 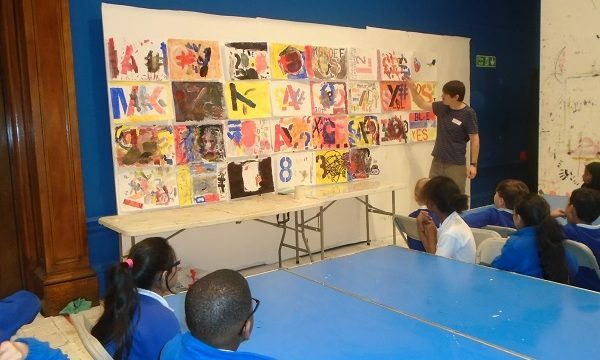 After seeing his work they all took part in a work shop using stencils in their work, much like Johns did. 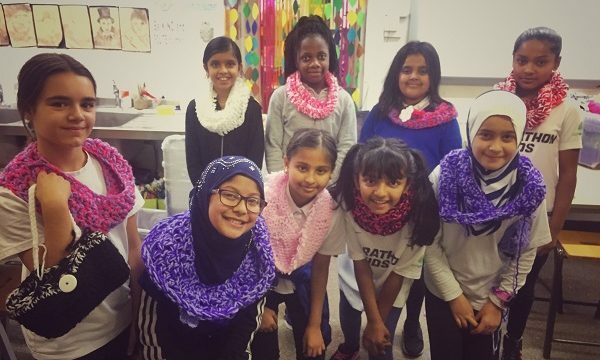 Continue reading "4AS Visit the Royal Academy of Arts"
Crochet club have started the year well, making some chunky snoods ready for the winter. Next we will attempt bobble hats and wrist warmers. Continue reading "Take One Picture National Gallery"
Continue reading "SEN panathlon event 27-6-17"